Check out our new MiniVids!!! Click here. Luna Star: Tickled & Controlled! Harem Girl: Blue Angel Trapped! Electra vs. Asian Angels 2! Knightwoman & Robyn vs. The Mighty Hypnotic! 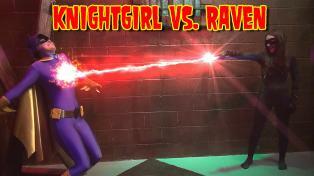 Knightwoman & Robyn vs. Villainess Lair! Knightwoman & Robyn Hypno Fight! Tickled Heroines 2 - Pt. 2! Tickled Heroines 2 - Pt. 1! Attack Of The Leopard 1 Pt. 2! Attack Of The Leopard 1 Pt. 1! Legend Of The Lynx 2! W. Womyn vs. Prankster Girl!